I love me some green juice! Years ago, when I began making a dietary shift to whole foods, I bought a juicer. I totally loved the juice and energy it gave me, but cleaning the thing was a pain! 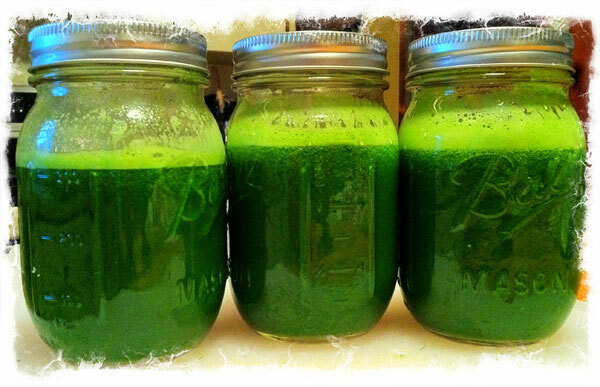 It languished in my cupboard until last summer, when I became fed-up with my self imposed mental block on juicing. I decided I’d juice over the summer, when my teaching schedule is lighter, and just give myself time to get into the juicy-groove. Once I got there, there was no turning back! Total energy boost. Better than caffeine, with no after-effects. Total glow to my skin. Who needs lotions and potions when their bod radiates from the inside out? Taste. That’s right, I said it. Find your happy combo of veggies, and it is sweet, fresh, and clean! The total confidence that what I’m putting in my body will give me super-fuel to go out into the world and transmit some loving energy! Easy to digest. Gives me an energy kick in the morning ‘cause everything is so bio-available. Less energy spent on digestion=more energy to absorb those phytonutrients and minerals! And the cleaning thing? Once I got the hang of it, it goes much faster now. I can make, drink, and cleanup my juicing adventure in the morning in about 20 minutes. That includes produce prep (cleaning, peeling, etc..) and making enough juice for me and hubby! Kris Carr is the bomb-diggity-bomb in juice land. A self proclaimed ‘wellness warrior’, Kris has tangled with Stage 4 cancer and has changed the lives of lotsa people! Joe Cross is a totally inspirational dude. He was extremely overweight, ill, and fed up with his situation. He went on a juicing adventure and made a touching, honest, and inspiring movie called Fat Sick and Nearly Dead. He also has a great website with tons of free info called Join the Reboot. Here’s what I drink in the morning. All veggies are organic, washed, and peeled if not organic. I throw some of the leftover pulp into my dogs dinner, and the rest goes in the compost heap to make my garden grow, goodness all around.